Put your IceWeasel icons here! There are also pages for the IceDoveIcon and the IceApeIcon. Comments: Ha, I just realised this sort of looks like the .mac (netowrking) icon! Square weasel (head and body higher), no glowing nodes, tango colours. Here my take on the icons. As icons need to be good not only at full size but also at 48x48 et 17x17 (the size of the small icon in top of program window), I've made a PNG for each of the three sizes. I think I like these best. I prefer the gray outline, especially for the ears. The blue continents emphasize the icyness, and I can't quite explain it, but this weasel's face is the...cutest. I think it will have wide appeal. The only suggestion I have is to add some color to the weasel itself, maybe a gradient or two; IMHO the solid color of the weasel clashes a bit with the globe. Here another version with darker contours for the weasel. A dark grey contour, looks better than black one IMHO. Edit: 17x17 shown twice, at left non retouched, at right passed by Gimp to get better definition. Comments: Made from scratch in inkscape, I'm happy to assign whatever license is suitable. This looks great ... can you put this under tri-license? and provide an svg? Can you make something similar for IceDoveIcon (Thunderbird) and IceApeIcon (SeaMonkey)? mail me at asac@debian.org as we need to push those IceLizards pretty soon. It's late, I'm going home. Will do a bit more tomorrow. I love this a lot, looks very bright, hopeful, whatever. 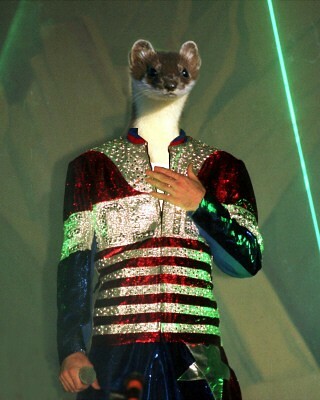 iceweasel3sm.png is quite nice too but the weasel looks a bit sad. It's actually a _curious_ weasel, which is even better for a browser. But the icon is just a blueish blob at 17x17. It should be brighter. Great picture, my favourite. But it needs more contrast, because as a small icon it is not recognisable. Please, work on it because otherwise it is a very nice design. Warbo: This looks good, but wouldn't really fit in with the default theme. I'm sure the Gartoon people would love it though. I don't think it was a bad idea to remove this. If anyone disagrees, then they can fix it. Out from the darkness, The Ice Weasel springs forth triumphant! is it wrong to delete stuff like this from the wiki? Undeleted -- an open process is essential. No one is forcing this to be the final icon. "Open process" my foot. This is nothing but a joke in very poor taste. It doesn't belong here, or anywhere really. I am removing it again, because I feel like I should add my support for standing up for good taste, and keeping things like this out of the Ubuntu community. But I will not remove it again, should someone else decide to put it back; I will leave that for someone else to show their support by acting. Warbo: The one at the top left looks the best, although it does not seem to show a browser as clearly as the one underneath. 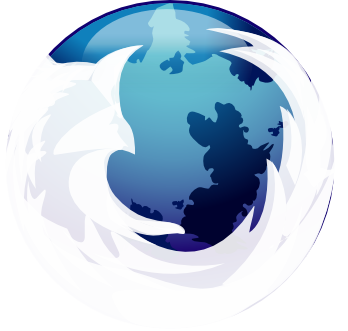 Also, the Firefox-esque flaming tail effect doesn't really work here, it looks more like "Where the hell are my legs?" Based on a weasel on winter coat. Antarctica version of Weasel in winter coat. First as seen from space, second with Antarctica only. Unfortunately, the nose reminds a rat or a panther rather than a weasel. Maybe you could only leave the tail? The logo should be simple IMHO. 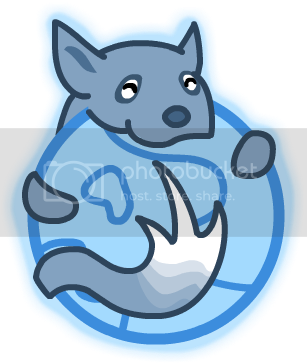 Comments: I thought I'd put this on, it is the "official" GNUZilla logo, basically part GNU icon, part Mozilla icon. Comments: I think this looks pretty cool! --Polygon. This icon is FANTASTICAL! I'm using it right now... it's one of the few ones on this page that are actually round enough to be used as an icon Thanks for it! The weasel is super cute, ericesque is probably drunk or something. Thanks again! Why the penguin? IceWeasel shouldn't be a purely Linux thing. Besides, this logo is too complex. Waiting for iceweasel to load will be fun now that I get to watch this guy bounce. Square icons be damned!